Find swimming pool safety nets and covers along with various other pool safety products in this pool safety directory. You can find specific products that are available in your area. It is vital that you secure your swimming pool properly to protect your loved-ones and also to ensure that your swimming pool is legally compliant. 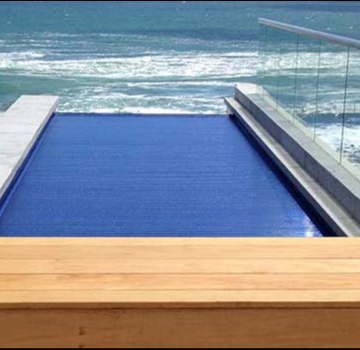 Many South African metros have started putting together local bylaws that make swimming pool safety covers mandatory. Fencing off your pool is no longer your only option and is definitely not always the best option. Automated covers make securing your pool as simple as flipping a switch and for more budget conscious pool owners a pool safety net is often the most secure way to make your pool both child and pet safe.